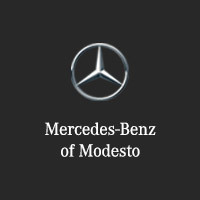 Pre-owned vehicle pricing includes all incentives. Tax, Title and Tags not included in vehicle prices shown and must be paid by the purchaser. While great effort is made to ensure the accuracy of the information on this site, errors do occur so please verify information with a customer service rep. This is easily done by calling us at (855) 474-0585 or by visiting us at the dealership. 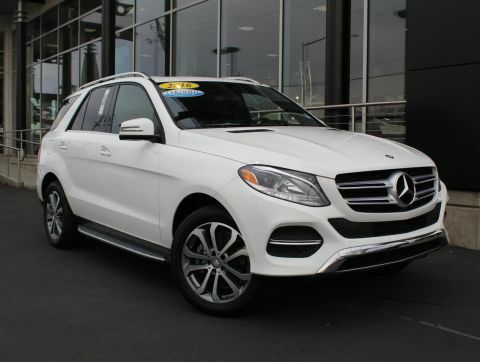 CARFAX 1-Owner, Superb Condition, Mercedes-Benz Certified. 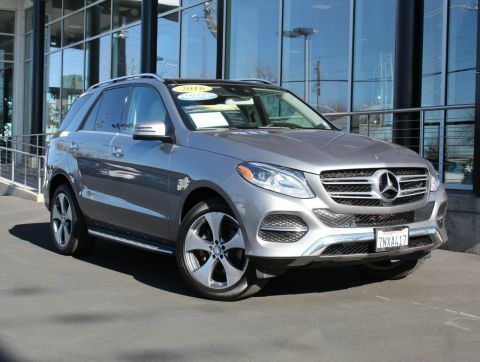 GLE 350 trim. JUST REPRICED FROM $39,991. Navigation, Moonroof, Heated Seats. CLICK ME! 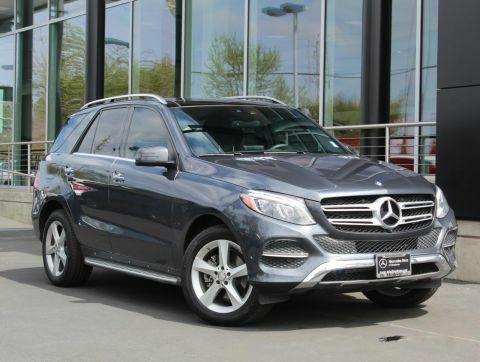 Sunroof, Full-Time 4MATIC All-Wheel Drive, Power Liftgate, Heated Driver Seat, Onboard Communications System. Rear Spoiler, Flex Fuel, Remote Trunk Release, Privacy Glass, Child Safety Locks. PREMIUM PACKAGE Radio: COMAND System w/Navigation, 8 high resolution LCD screen w/3D map views, enhanced voice control system, 10GB music register, single disc CD/DVD player, Gracenote album information including cover art, SD card slot, SiriusXM traffic and SiriusXM weather w/, 115V AC Power Outlet, Single DVD Player, KEYLESS-GO, SIRIUS XM Satellite Radio, SiriusXM real-time traffic and SiriusXM weather (w/), Navigation Updates For 3 Years, Region Coding, BRUSHED ALUMINUM RUNNING BOARDS, ILLUMINATED STAR. 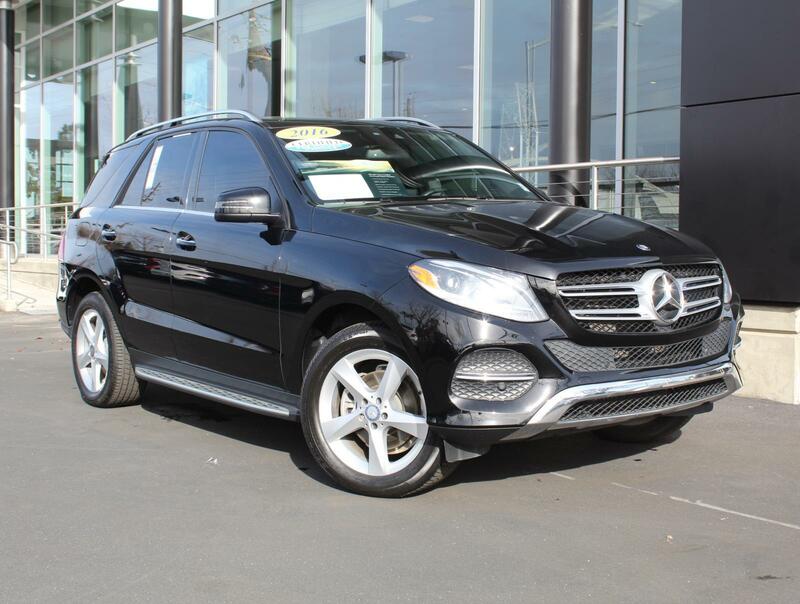 Mercedes-Benz GLE 350 with Black exterior and Black interior features a V6 Cylinder Engine with 302 HP at 6500 RPM*. Serviced here, Non-Smoker vehicle. KBB.com's review says Regardless of what's under the hood, we found all models of the GLE comfortable and easy to drive, whether on a high-speed trip or a jaunt to the market..